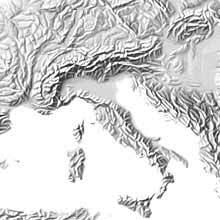 Around 1925, Karl Wenschow from Germany developed a procedure for creating shaded relief, now named after him. 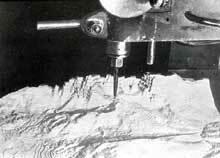 The procedure requires a three dimensional model of the terrain carved with precision routers from a block of plaster. The model is then obliquely illuminated and photographed from a distance of 40 to 50 m using a special camera. A Wenschow relief with typical cast shadows along high mountains. A manually drawn relief shading. © Schweizer Weltatlas. 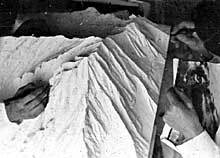 Considerable disadvantages afflict the Wenschow procedure: Local adjustments to the light source to optimally depict complex terrain are impossible. 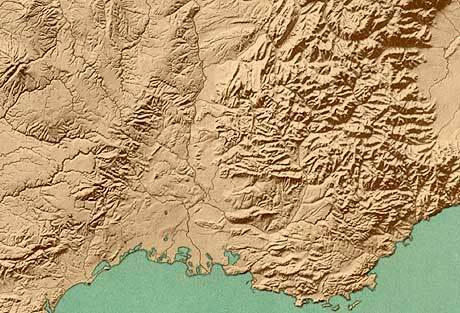 As a consequence, poorly defined large landforms and excessive amounts of detail characterize the “Photographic” shaded relief. Additional photographic retouching helps to overcome these limitations, but they require much time and effort. The Wenschow technique is therefore not in use anymore. 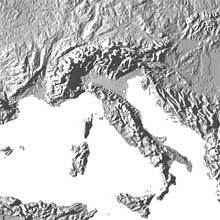 Wenschow relief: “Atlas universel – France en Relief” (section southern France), terrain model at 1:1 million.